We are very excited to announce this retreat features special additions with some of our favorite collaborators! “Retreat Mama” Una Viggiani will be teaching yoga and handling all the stuff and things! Andrea Shanti, the “Queen of Essences,” will be back to create signature perfumes! 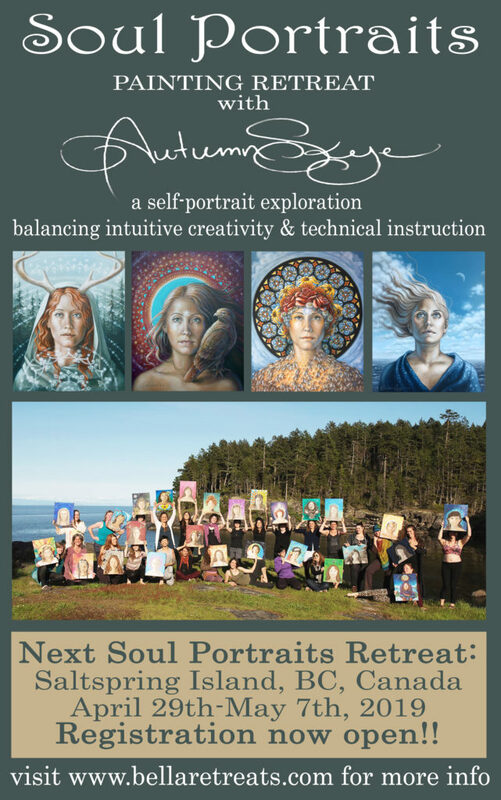 Marnie Recker, the Infamous Photography Expert and “Soul Portraits Loyalist,” is on board! 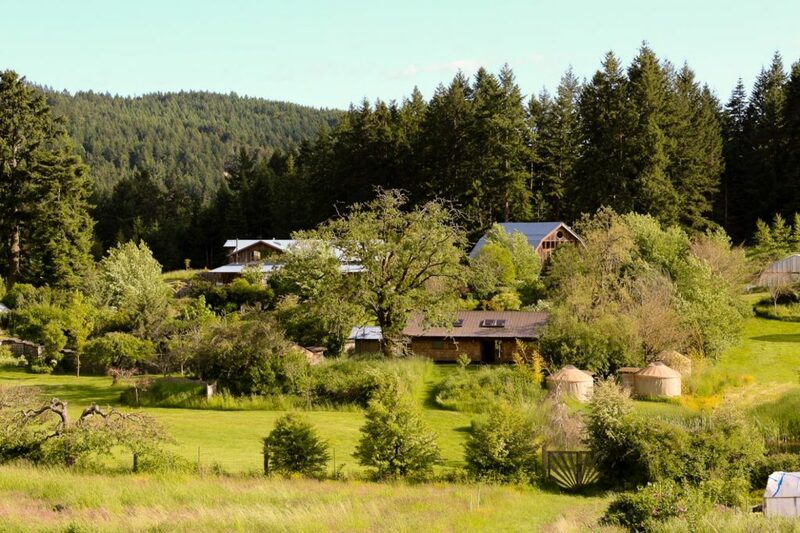 RETREAT START: April 29, 2019 – Arrive and settle by 3pm. 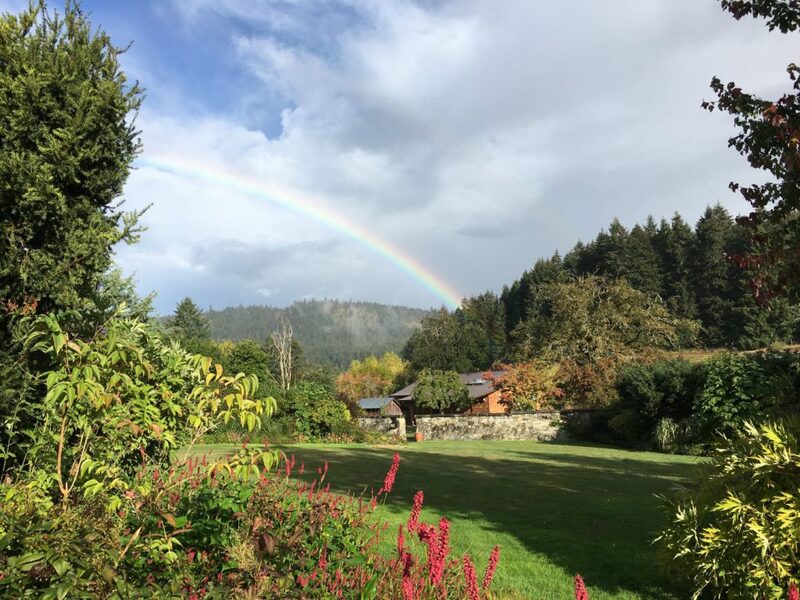 RETREAT ENDS: May 7, 2019 – Checkout and depart by 1 pm. WEAR Comfortable and casual retreat attire, painting apron. 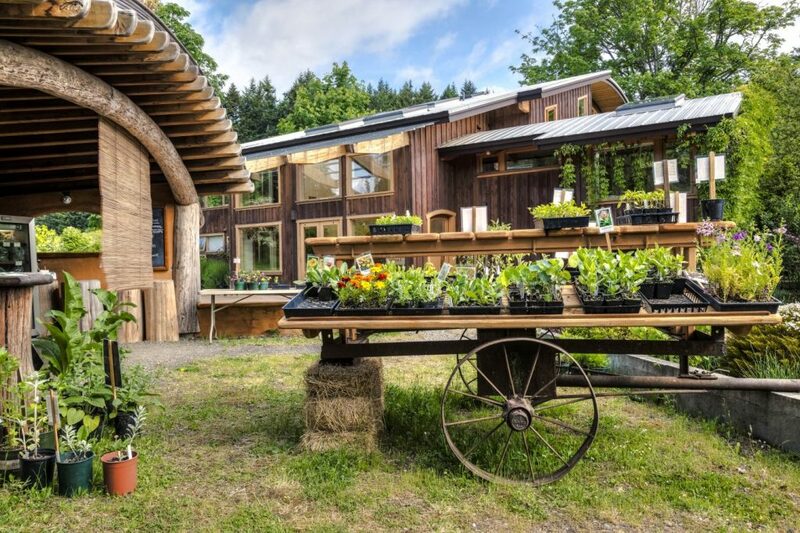 Stowel Lake Farm is a unique location that welcome groups to experience the beauty of farm and community life. 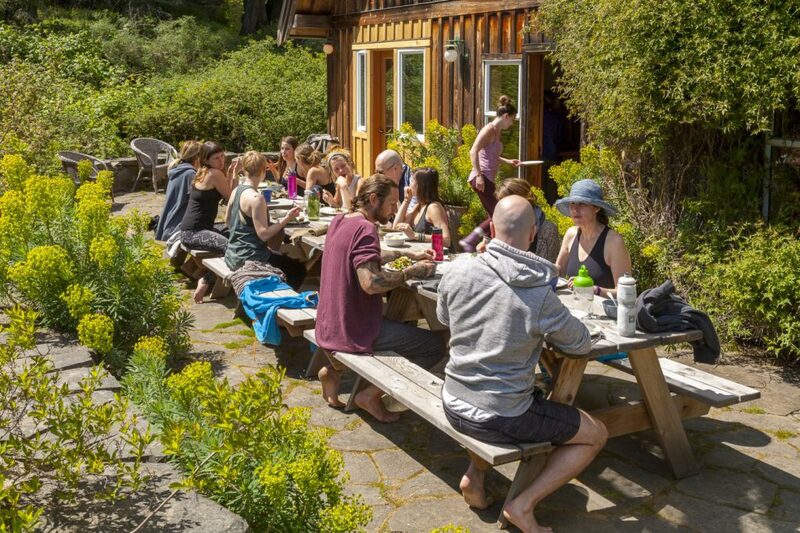 This naturally stunning & easily accessible location boasts bright, spacious retreat spaces, vibrant & productive organic, gourmet, farm fresh meals and comfortable, cozy accommodations. 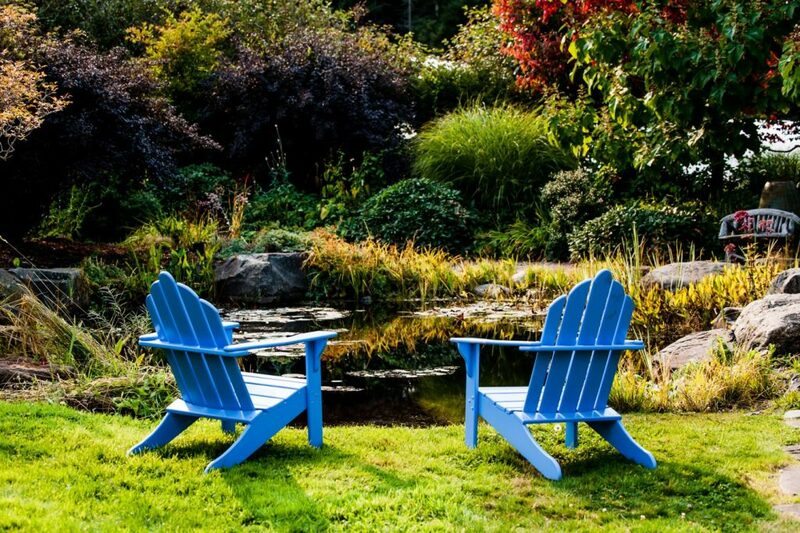 This quiet private location lends itself well to 9 days of soul painting, connecting with artist friends, relaxing and exploring the many large perennial gardens and water features perfect for reflection and inspiration. The beautiful, handcrafted Gatehouse will serve as the main studio space. It’s high, curved ceilings, cherry wood floors and large windows allow panoramic views of the farm and the natural environment. 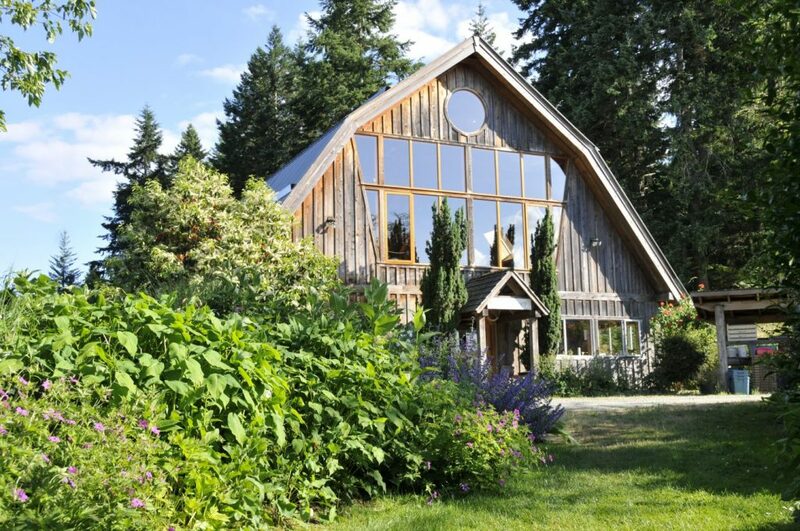 We will converge and dine in the Barn building, which houses a gorgeous custom kitchen, tea bar, buffet, eating area and 2 bathrooms. 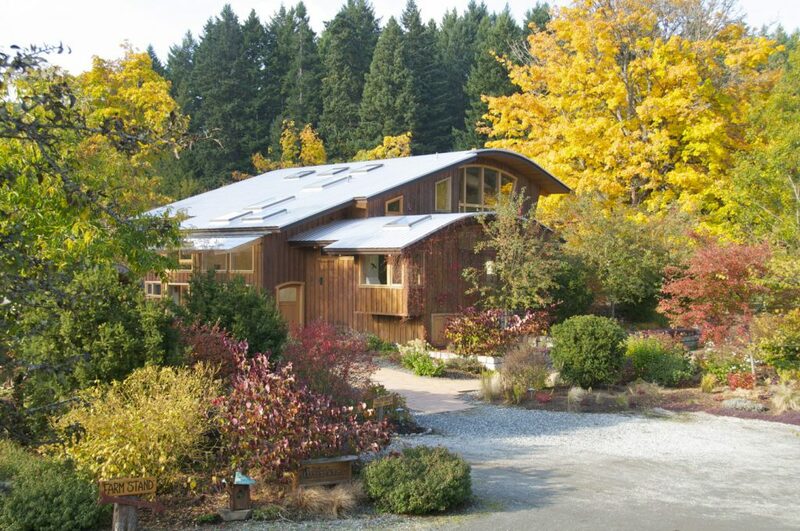 The 40 year old Barn was beautifully renovated preserving original timbers and is both comfortable and lovely. The upstairs is a spacious area for dining with tables and chairs and a cozy area with couches and a wood-burning stove. Between the Gatehouse and the Barn, there are many places to walk or sit in the well established and beautiful perennial gardens. 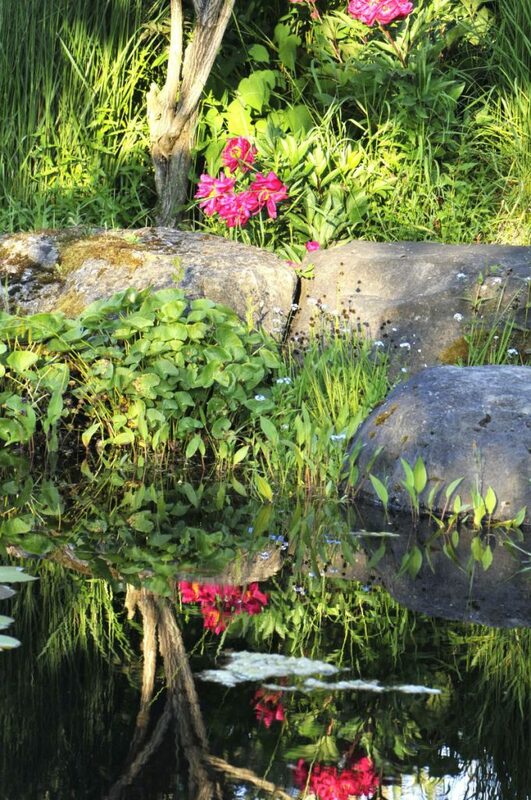 It is a perfect place for reflection, contemplation and soul gazing. It is also home to many species of birds, insects, bees and frogs. 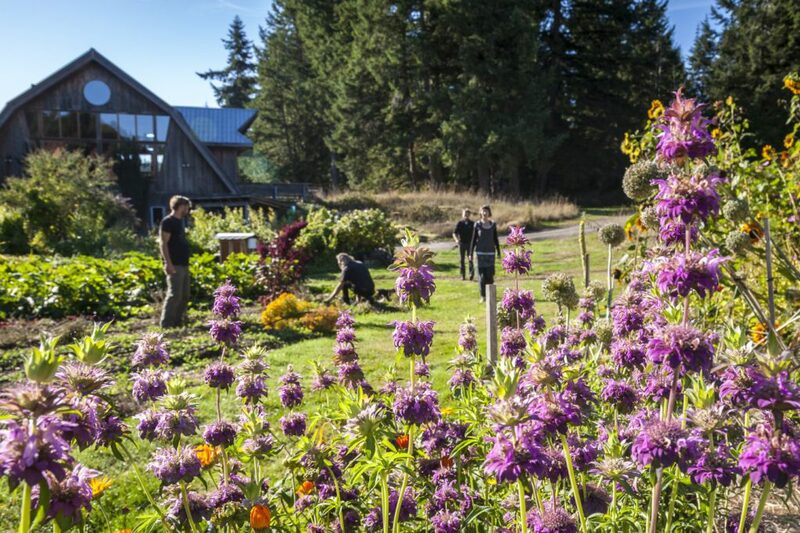 The perennial garden was designed to have beauty in every season so it can be appreciated throughout the year. 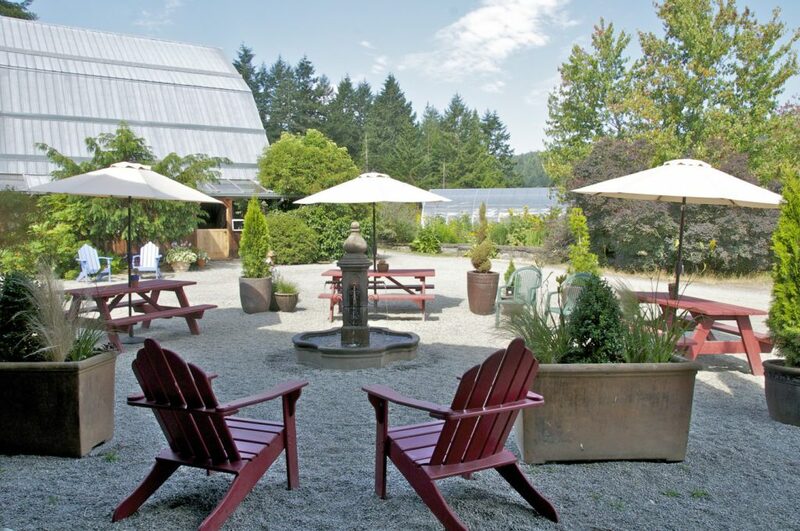 The cuisine at the farm is outstanding with the menu changing daily to incorporate ingredients from the gardens. We work with chefs who prepare each dish with care and attention to detail. Daily meals are wholesome, nourishing and beautiful. 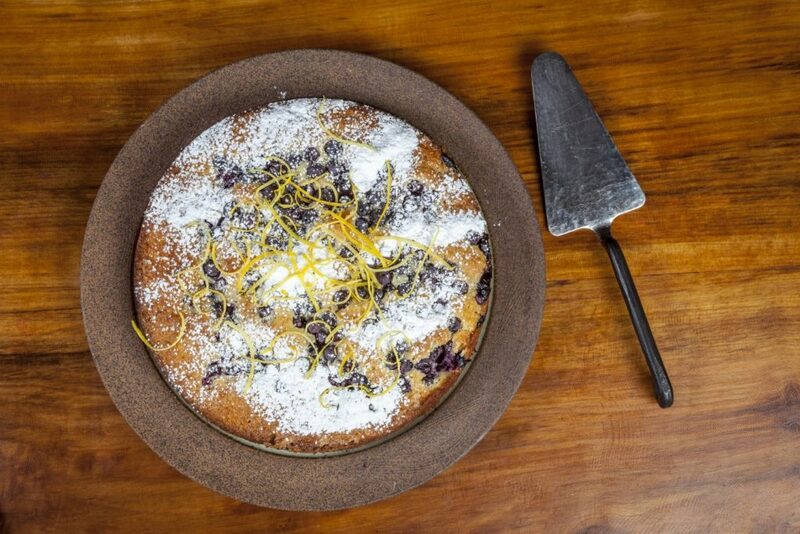 Organic whole grains, local dairy and fresh baking complement the vegetables and fruits fresh from the farm. 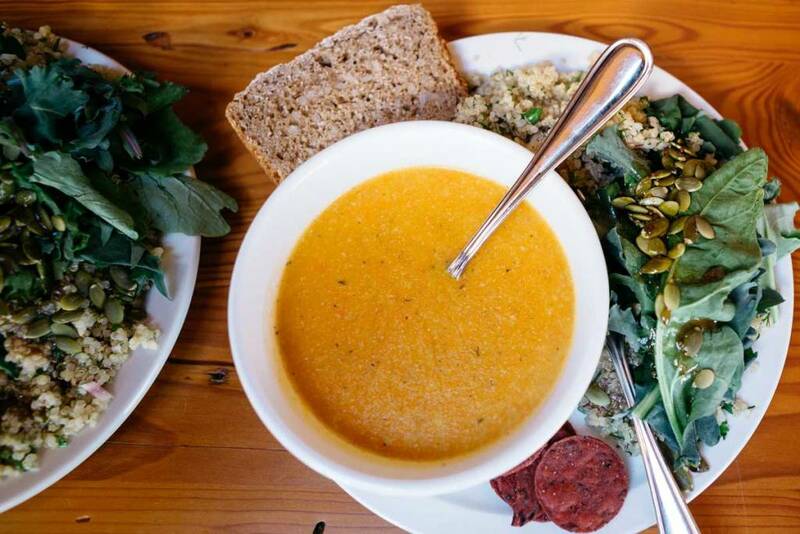 Our healthy and delicious meals are a significant part of the retreat experience at Stowel Lake Farm. Salt Spring Island is part of the Southern Gulf Islands between Vancouver and Victoria, in British Columbia and off Canada’s West coast. Salt Spring Island is served by BC Ferries at 3 ferry terminals. Additional ferries are available in the summer months. We can pick participants up off the Fulford Ferry. If you’re coming from the Victoria area on Vancouver Island. It’s also possible to come from mainland Vancouver by getting a BC Ferry from Tsawwassen to Swartz Bay, then catching a BC Ferry to Salt Spring. – Departs BC Ferries Swartz Bay terminal and sails to Fulford Harbour at Salt Spring’s south end. Getting here faster couldn’t be more fun than traveling by air with affordable seaplane flights from these well-established and trusted providers. With a flight time of approximately 35 minutes, it’s how many islanders choose to commute! Travelling Internationally? If you’re coming into Vancouver Airport, you can get a seaplane from SeaAir to Ganges on Salt Spring from the Vancouver Airport Seaplane Terminal. Or get a taxi to Tsawwassen and then a BC Ferry from Tsawwassen to Salt Spring (via Swartz Bay or direct to the Long Harbour Terminal). Coming from another Gulf Island? Coming from the United States? “For as long as I can remember, I knew my mission on this planet was to share inspiration. As soon as I was old enough to hold a paintbrush in my hand, I began making art, and I have barely put the brush down since. Painting has taken me to distant lands around the world, and to the furthest reaches of my innermost heart and imagination. I paint in a dance between divine grace and conscious attention, and strive to “get out of the way” to allow each painting to speak thru me. With every brushstroke, I witness worlds unfold before me. Painting is my stillness and my rhythm, my teacher and my lover, and it never ceases to surprise and amaze me. Each canvas takes me on a journey, and as my paintbrush follows, I am always led back to my centre. In any creative expression, there is a profound voice that speaks through us when we release judgment during the process. Remembering this, I strive to move beyond my mind, and get out of the way to allow that grace to come through. With every brushstroke, I witness beings come to life and worlds unfold before me. I realize the art is not born from me, but through me, and in this understanding I am both humbled and empowered. Painting is my stillness and my rhythm, my teacher and my lover, and it never ceases to surprise and amaze me. Each canvas takes me on a journey, and as my paintbrush follows, I am always led back to my centre. I believe that the role of the artist is especially crucial at this challenging and exciting time, while the world is at the precipice of momentous change. We have an opportunity to transmute the shadow and pain that we witness in the world around us into visions of wholeness. Artists are map-makers, and those maps can help guide humanity forward into new and positive ways of seeing and being. Autumn Skye was born in 1983, on a maple syrup and blueberry farm on the Parsborro Shore of Nova Scotia. Her family gradually moved west, with her father settling in the Rocky Mountains and her mother in the temperate rain-forests of the BC Coast. Spending her youth within these incredible landscapes, she developed a deep wonder for the magic and richness of nature, and since she was old enough to hold a pencil, has been transmuting this inspiration through art making. With a curious and creative imagination, and she was always encouraged and supported to express herself artistically. Her meticulous, heart-centred, and poignant work continues to gain ever widening recognition, attracting collectors and students from around the globe. As a self taught artist, she has dedicated tens of thousands of hours in the exploration of creativity, continuing to develop her own unique technique. Her style gracefully weaves together refined realism and iconic imagery, with profound symbolism and subtle geometries. 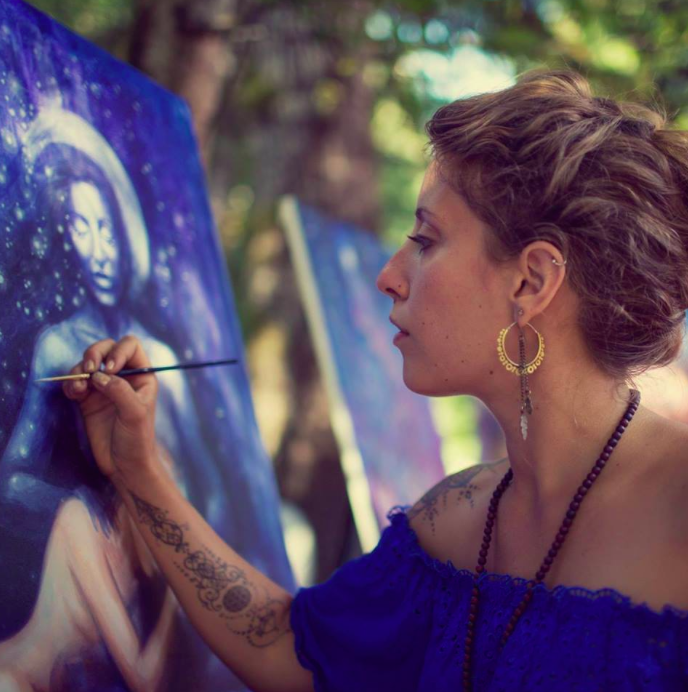 Now, between journeys to explore, show, teach, and share inspiration worldwide, Autumn Skye lives and paints in her home on the Northern Sunshine Coast of BC. From her studio, she overlooks a sweeping expanse of ocean, mountains, and sky. She considers herself among the blessed of the blessed, and strives to support her ever blossoming community through inspiration and creative empowerment. Una Viggiani is an artist, yogini, world traveler and inspired instigator. She earned a degree in Fine Art from the University of Colorado at Boulder, and her Masters degree in Education at the University of Denver, but ultimately learned the most traveling the world on a solo journey that lasted two years and took her to 22 countries. While in Costa Rica, she discovered the Nosara Yoga Institute, which allowed her to become certified with Yoga Alliance as well as find her new calling as a yoga teacher. She has taught alignment based vinyasa classes in Denver, as well as on retreats. 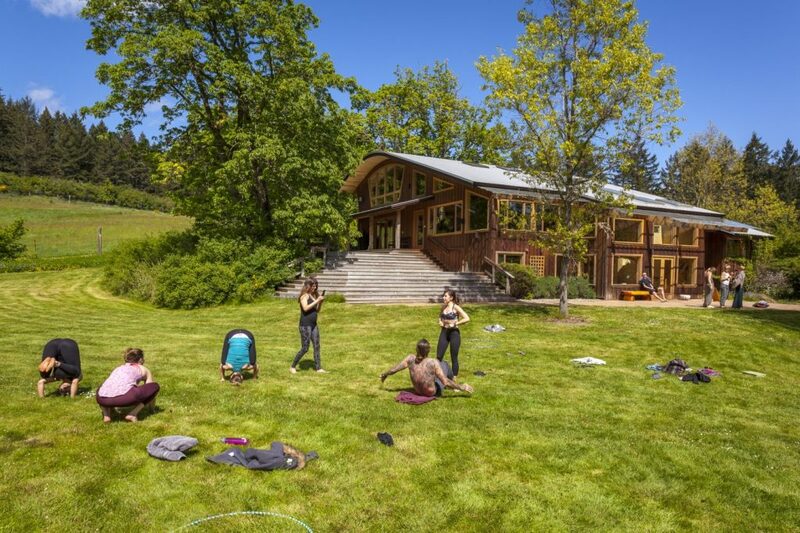 In 2012, Una founded Bella Retreats, a retreat organizing company, which has led hundreds of participants to distant lands for successful and life changing retreats. Open your visionary pathways and balance your energy centers while you experiment with plant extracts in the form of essential oils, CO2 extracts, and resins–all of these part of a natural perfume. Discover the deep, woody base notes, the flowery heart notes, and the light citrusy top notes of your favorite scent. Allow your most primal sense to awaken your hearts truest manifestation on canvas. Every participant will have the chance to create their own natural perfume with Andrea’s guidance. Stoewl Lake Farm has a variety of charming & cozy accommodation located close to the main facilities. Guests will enjoy clean, comfortable bedding with duvets and towels. All rooms (including yurts) have heat and power.